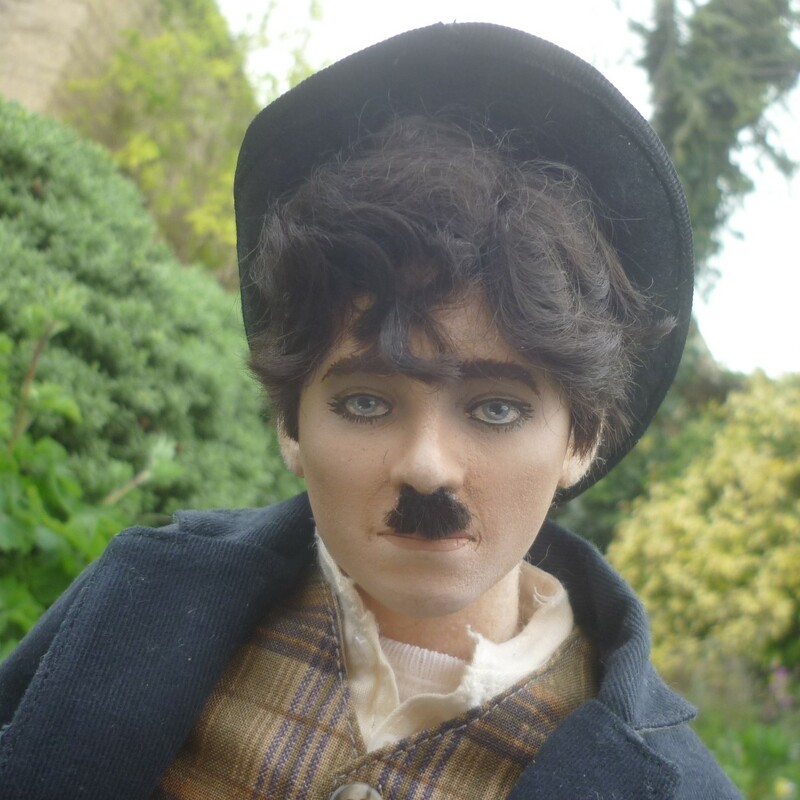 To mark this year’s 100th anniversary of the release of the film, R John Wright proudly introduce Charlie Chaplin – brought to life for the first time in the medium of molded felt! 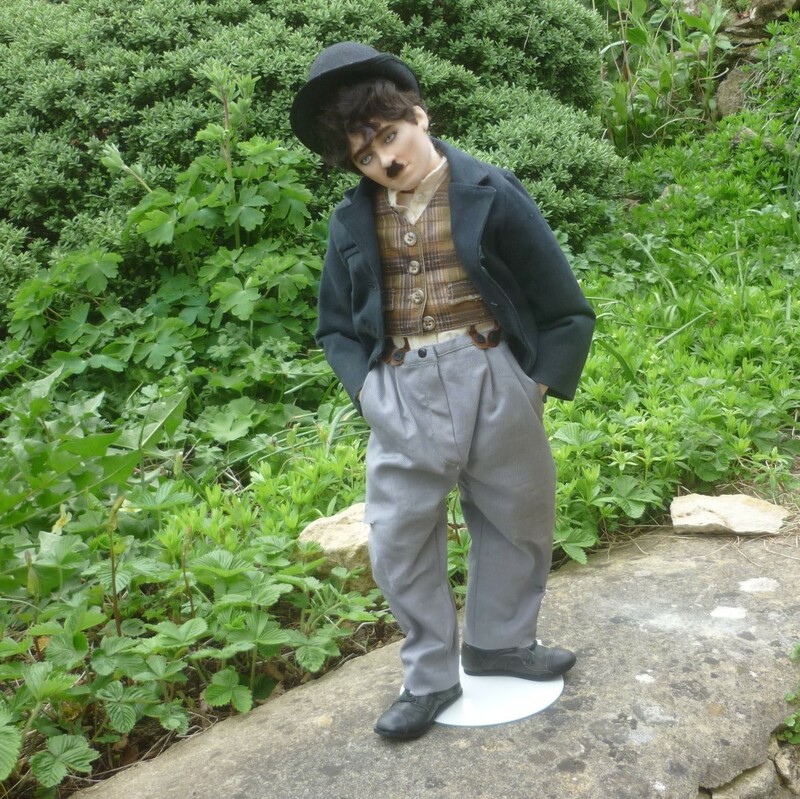 Faithfully based on the beloved “Little Tramp” character in the 1918 silent film, A Dog’s Life, Charlie is fully jointed at the neck, shoulders, elbows, hips, knees and ankles, with the RJW wooden ball & socket jointing system. 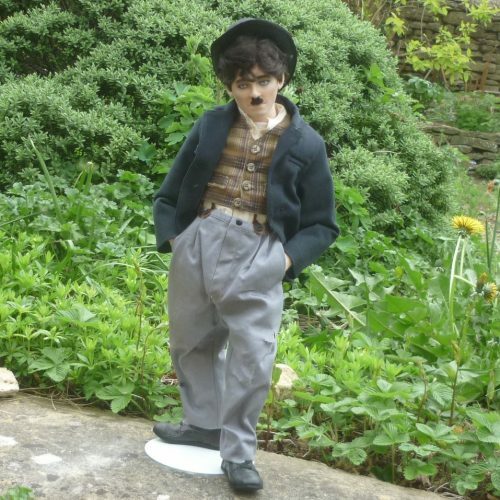 He has a realistic molded felt torso and limbs and hands with individually sewn fingers. 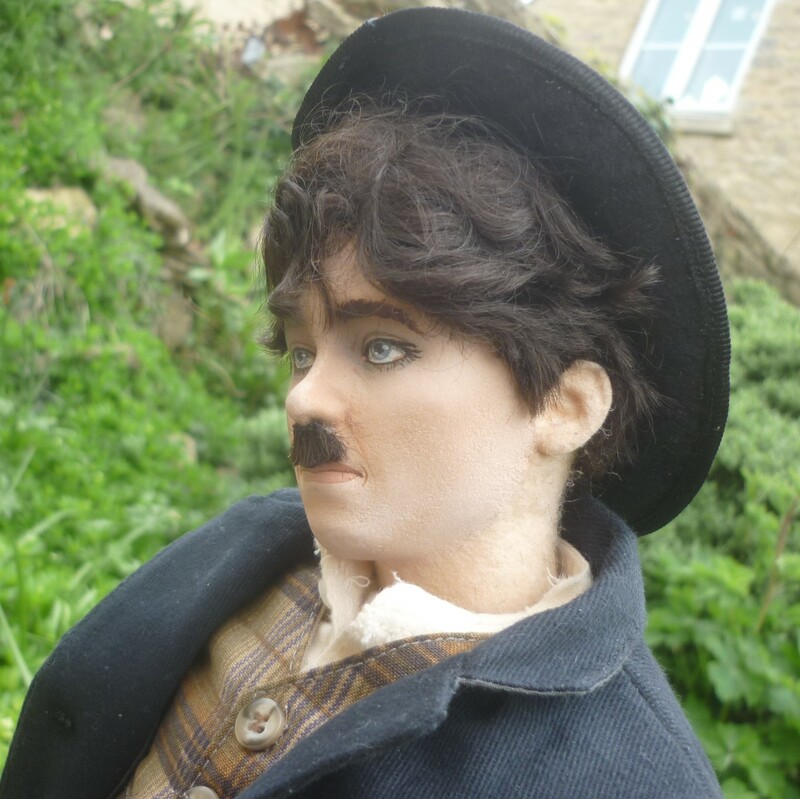 The molded felt character face has been finely modeled in a true likeness with delicate hand painted features, and the wig is styled of the finest mohair. 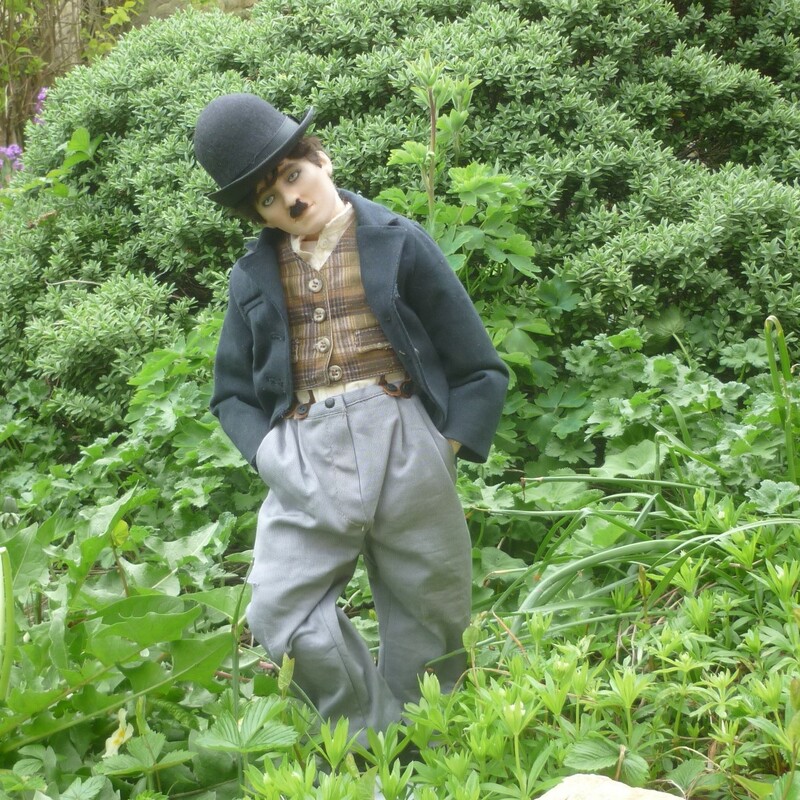 Extensively researched for the utmost in authenticity, Chaplin’s iconic “Little Tramp” costume includes one-piece period underwear, a short-sleeved muslin shirt and a detailed waistcoat made out of distinctive plaid fabric. The oversized trousers are made of custom-dyed corded twill fabric and are held up with detailed braces with leather tabs. The fully-lined coat is tailored of fine worsted wool with working pockets. The entire costume has been artistically distressed and aged with frayed edges, stains and tears. Charlie’s trademark bowler hat is made of all-wool felt and his hand-cobbled leather boots include patches and custom-made miniature shoelaces! 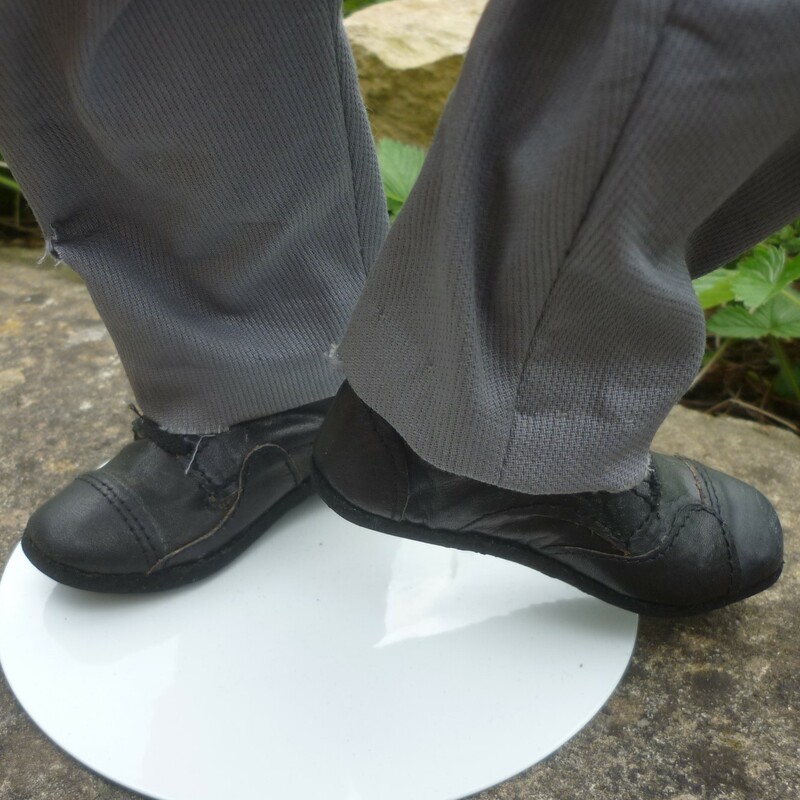 No detail has been overlooked to bring this legendary film character vividly to life. The 'RJW' brass button is affixed to each piece as a lasting mark of identification and a signed and numbered certificate of authenticity is included inside the deluxe presentation box.